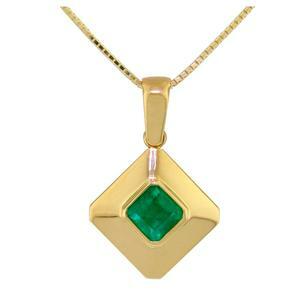 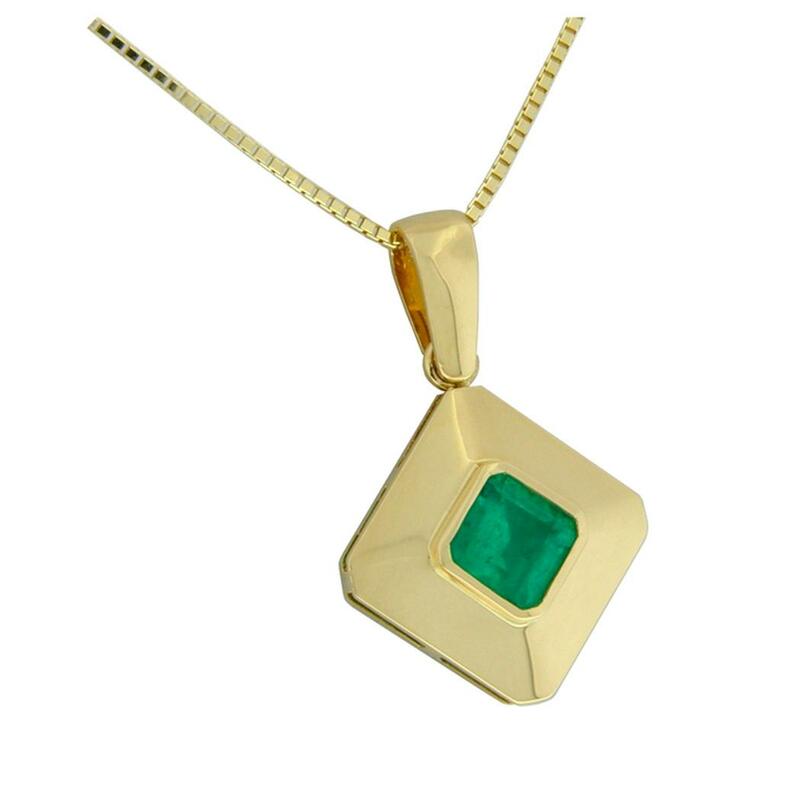 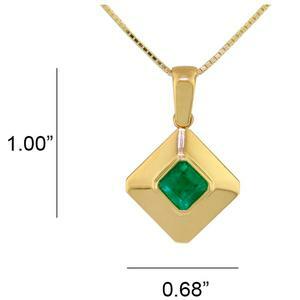 This emerald pendant is a fantastic piece of jewelry made in solid 18K gold with a gorgeous emerald cut emerald in the center. The lovely medium green color of the gemstone shows up beautifully and keeps all the attention in this wonderful emerald pendant. The broad, finely polished, bezels around the emerald make a clean and smooth surface, creating an easy flow in the whole piece.